Lieutenant General Robert Abrams, CrossFitter. Source: Wikipedia. He’s a three-star General. President Obama selected him as Secretary of Defense Hagel’s senior military advisor. The Abrams tank is named after his father. As a young soldier, his nickname was “the natural-born killer.” He has two brothers; both are generals. When the Iraqi insurgency exploded in Sadr City in 2004, Abrams commanded three thousand troops at the center of the fight, just as his dad Creighton Abrams commanded American soldiers in the Vietnam War. You could say Lieutenant General Robert Abrams has a distinguished biography. But one of his achievements has received little coverage: launching the mass adoption of CrossFit in the U.S. Army. The Abrams Study: Does CrossFit Increase Injury Rates? 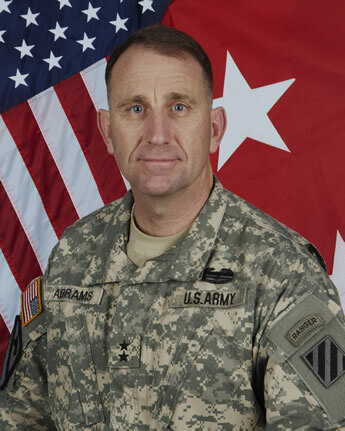 In 2012 Abrams commanded the Third Infantry Division, based in Fort Stewart, Georgia. That year he began an ambitious program to train the Third Infantry Division’s soldiers in CrossFit. 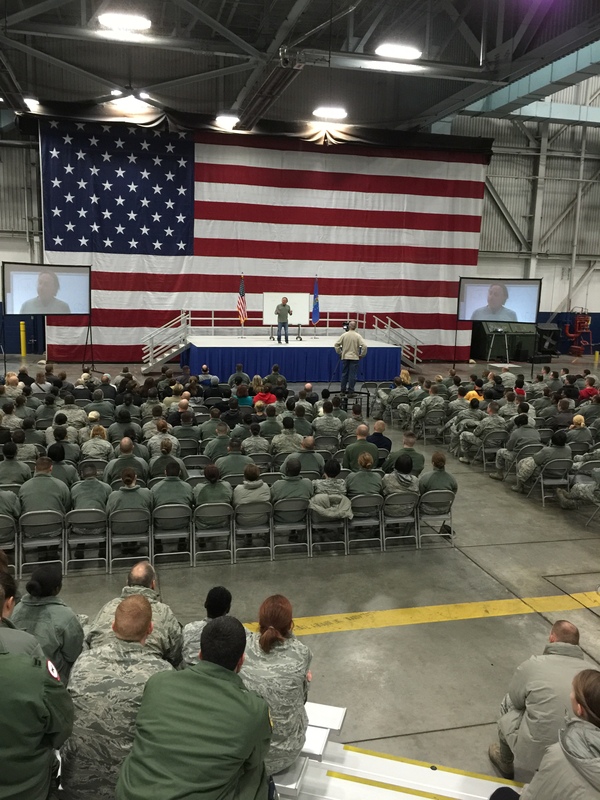 In the two years since, the division has committed around $1.2 million to put nearly 2,000 soldiers through CrossFit L1 Seminars. And the division has provided gear suitable for CrossFit workouts to every company-level unit. The goal behind the CrossFit method of training is to change the Soldier’s attitude towards PT. CrossFit is a functional approach to PT in order to prevent injuries performing daily duties. CrossFit will change you. While civilian competitors to CrossFit warn of a “potential emerging” trend of CrossFit injuries, Abrams is using CrossFit to reduce the risk of injury. Who’s right? The civilian competitors have no evidence. Abrams, in contrast, has access to reams of data on CrossFit’s safety. He’s put thousands of soldiers through CrossFit L1 seminars. Unlike Dr. Steven Devor, the Army tracks ALL of those trainees’ medical care. If a single soldier got hurt in a CrossFit L1, the Army would know. To our knowledge, not a single injury has been reported from a 3rd Infantry Division soldier at a CrossFit L1 seminar. And the Army keeps signing up for CrossFit L1 seminars. In fact, the U.S. military is CrossFit Inc.’s single largest client. Let me be clear: If the ACSM or NSCA were right, and CrossFit put US Military troops at a higher risk for injury than other physical activity, they’d be able to substantiate this claim with data from the thousands of US soldiers who have undergone CrossFit training. Yet the ACSM and NSCA have have failed to provide any data to support this claim, whatsoever. 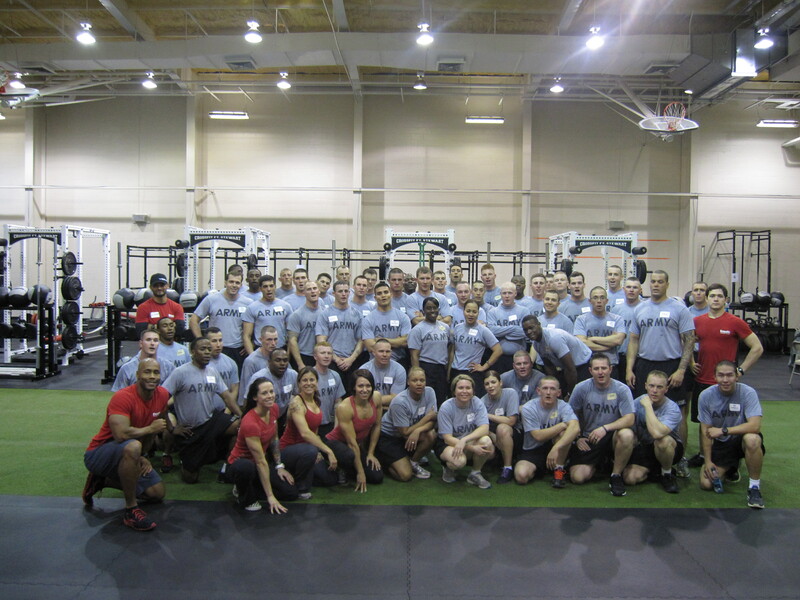 A CrossFit L1 seminar at Fort Stewart in 2012. Big Army has caught on. The National Institute of Health is funding a $2.5 million dollar study testing 200 US Army soldiers over 4 years at Fort Leavenworth. One group will do CrossFit at Iron Major CrossFit – the other will follow the Army’s Field Manual 7-22. Kansas State University professor Katie Heinrich is leading the research, with assistance from former Navy SEAL and CrossFit Seminar trainer Joe Alexander. Basically the lesson learned is: Don’t make stuff up … When we have any type of injury, we’re going to track them and report it. We’ve already done other CrossFit studies — with kids, overweight and obese adults, regular adults, and even those with cancer … The only injury we’ve had is a single groin muscle pull. So we’ve been able to successfully and safely deliver this type of training program. Just to clarify, the $2.5 million study will be conducted with the Army, but the funding for the study is from the National Institute of Diabetes and Digestive and Kidney Diseases (part of the National Institute of Health). As a recent retiree with 22 years of PT, I saw more gains in strength, speed, agility and overall fitness in my 2 years of CrossFit before retirement than in the preceding 20 years of PT alone. I am glad to see that the Military is taking an interest in a true fitness program!! ATW! !